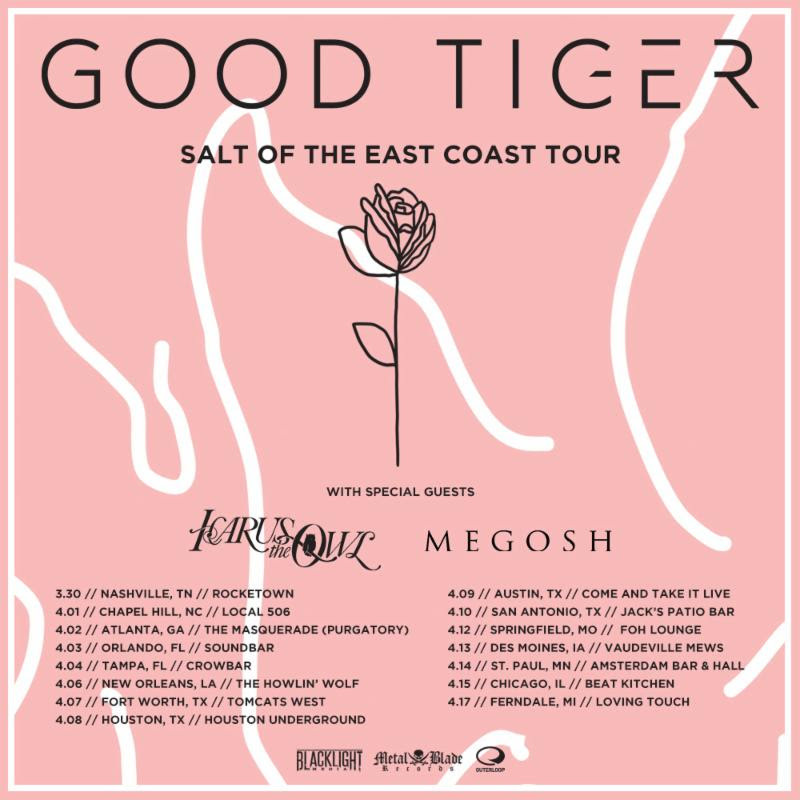 February 21, 2018 – Rock quintet Good Tiger is thrilled to announce that they will be hitting the road for their “Salt Of The East Coast” headline tour with Icarus The Owl and Megosh. The run kicks off on March 30th in Nashville, and includes stops in Atlanta, New Orleans, and Chicago. Tickets go on sale this Friday, February 23rd at 10am ET. For a full list of dates or for more information, please visit: www.goodtiger.co . 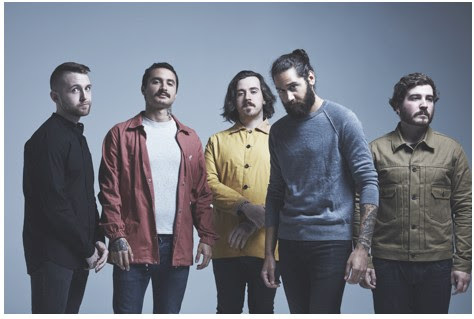 In addition, the band will be performing at the BLACKLIGHT MEDIA Showcase in NYC’s Gramercy Theatre on March 8th, as well as touring as direct support for Protest The Hero on their Fortress 10th Anniversary Tour beginning on April 19th. Good Tiger had their strongest opening week to date with the release of their sophomore record We Will All Be Gone, out now via BLACKLIGHT MEDIA/Metal Blade Records. The album debuted at #2 on the Billboard Top New Artist Albums Chart, as well as #3 on Current Hard Music Albums. We Will All Be Gone is also currently #9 on Top New Artist Albums Consumption, #15 on Current Rock Albums, #50 on Top Current Albums, #59 on Billboard Top Albums, #76 on Current Digital Albums, and #95 on Digital Albums. Fans can stream We Will All Be Gone in full via Spotify, and it is available for purchase at metalblade.com/goodtiger. We Will All Be Gone has recently been heralded online and in print by Alternative Press, Outburn Magazine, Modern Drummer, New Noise Magazine, Cryptic Rock, and more. Blending their influences in a manner that defies lazy classification sets Good Tiger apart from their contemporaries, imbuing everything they do with a distinctive sound and feel, and with We Will All Be Gone, Good Tiger have dramatically built upon their stunning debut, 2015’s A Head Full Of Moonlight. Good Tiger’s sophomore album, We Will All Be Gone, is available now. To purchase, please visit: metalblade.com/goodtiger.